FOR RENT: HOBBY 440 SF ... Your Secunda Casa ?? This is an ideal family home! The side seating group is easily convertible to 2 bed, perfect for small children who you want to be with you, and is as easy also to build back to side seating group. The kitchen has a huge counter top, very easy in the preparation of the food. The awning is pretty large, especially when the bay window is also put in on. An additional charge of € 0,19ct spend per km and we bring in the Netherlands caravan to and from your destination. 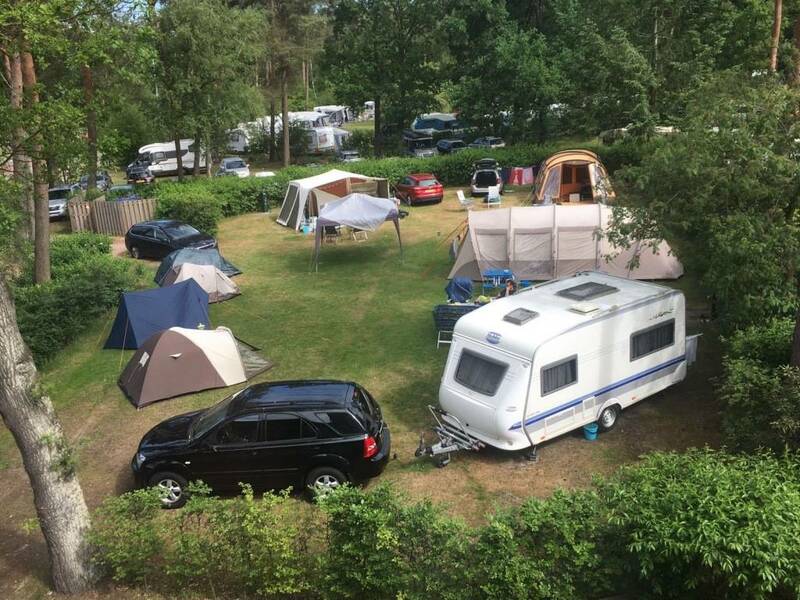 An additional charge of € 37.50 we put the caravan including awning for you and we once again break the same amount for you all again down. The caravan, including everything that goes with it, should be handed back clean, you do not feel like this? An additional charge of € 75.00 you can thus leave everything and we make everything ourselves clean. We love this caravan, it is in the summer really a few weeks our 2nd home !! The caravan is TÜV approved so there may be driven in Germany 100km per hour. Of course, you must abide by the traffic laws of the countries where you drive it. 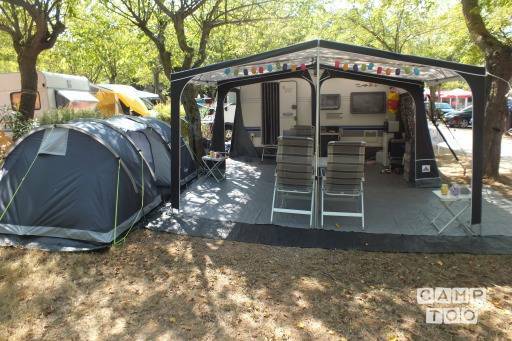 You can pick up the caravan in Apeldoorn at Gerard.